VietNamNet Bridge – Food enterprises can now declare their products safe and hygienic, without having to apply for any official certification. Decree 15/2018/NĐ-CP was put into effect last month; with the food safety change one of the most significant parts of the decree. Under the decree, organisations and individuals producing and selling food will announce their product’s safety on multi-media, websites or at their offices themselves, instead of applying for food safety and hygiene certificates like before. Le Thi Thu, owner of an enterprise producing pork pies, spring rolls and sausages in Bien Hoa City, the southern province of Dong Nai, told Thanh Nien (Young People) newspaper that, to apply for the certificate, an enterprise must prepare two sets of documents and each set had 11 different kinds of papers. The papers included detailed information about the products, a circulation certificate, a medical certificate, a trademark, a periodic supervising plan and a trading certificate. “The procedure has been abolished, helping enterprises escape a great burden,” she said. Le Quang Hau, owner of the Quang Hau Spring Roll and Pork Pies Enterprise in Tan Phu District in HCM City, said depending on each province and city, completing the procedure could cost VND6-10 million (US$260-440). Business owners also had to travel to different offices to complete it. Another problem, Hau said, was that the food safety and hygiene certificate dictated that the enterprise had to take responsibility for their own products. “It meant that food management office issues the certificate for the enterprise, but it did not take the responsibility for the certificate,” said Hau. Truong Chi Thien, director of the Vinh Thanh Dat Food Joint-stock Company, said that to bring an egg to market, it took 15 days to complete procedures. Many enterprises had to hire more employees to do the procedures. A survey of the Central Institute for Economic Management announced recently said that to apply for a food safety hygiene certificate, each enterprise must pay about VND10 million ($440), and VND30 million ($1,300) in some cases. 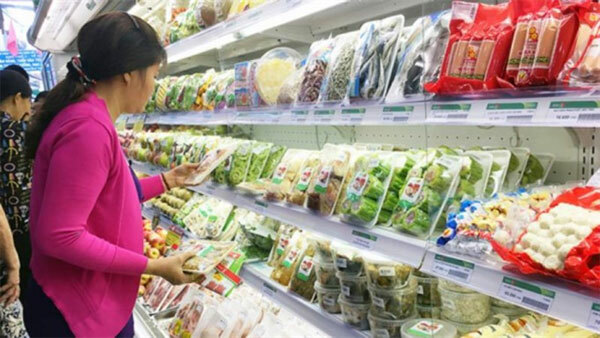 Vu Tien Loc, chairman of the Viet Nam Chamber of Commerce and Industry, said the medical sector’s certificates for food enterprises could not cover all of the enterprises’ work. If an enterprise has bad work, it can rely on the certificate to avoid punishment, he said.